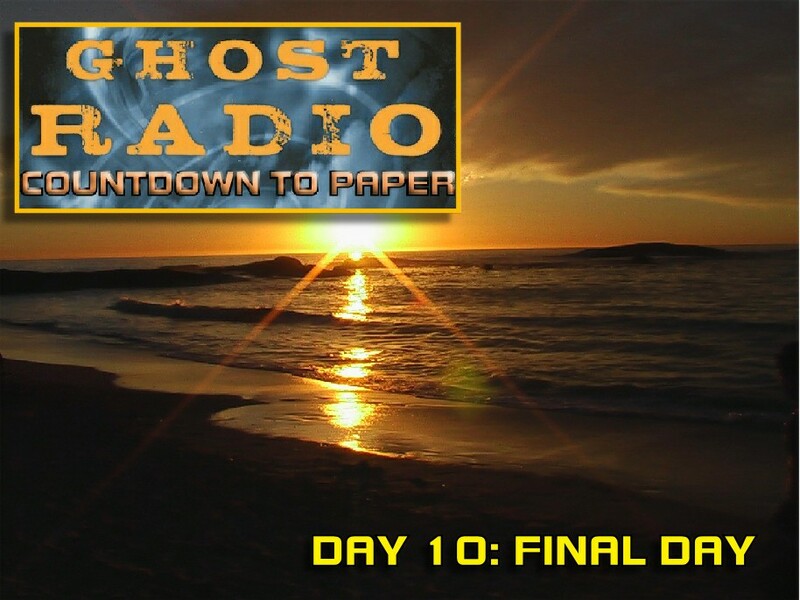 Welcome to Day 1O the final day of the “Ghost Radio: Countdown to Paper” event! Our celebration of the mass market paperback release of Leopoldo Gout’s hit horror novel Ghost Radio. And make sure to read to the bottom of the post for a chance to win some exciting PRIZES! In less than 24 hours, the paperback hits store shelves! This ends a journey that began years ago, when I presented a proposal to Harper Collins for a potential graphic novel, and they said: Why don’t you write it as a novel! Many sleepless nights later, the novel hit stores shelves as a hardback in October 2008. It received great reviews from both major and minor reviewers. These rave reviews exceeded my wildest expectations. Now a year and a bit later, the mass market paperback release is a about to be reality. I’ve always felt that it was in its mass market paperback edition that Ghost Radio would find its real readers. People who don’t necessarily follow the publishing industry, nor are first on board to snag hardbacks. Just people who love horror novels, and pick up any new paperback that strikes their fancy. This book is for them. But just because its US publishing releases have ended doesn’t mean it’s the end for Ghost Radio. The blog, which has been hugely successful, will continue. And the future of the novel remains bright. Chances of a movie version remain very much alive. We will report on that front as it progresses. And editions in new countries continue to appear, such as the recent release in Korea. And, more important than that, the novel is still alive. Every time a new reader cracks the spine on a copy of Ghost Radio the book has a rebirth, opening its world to a new pair of eyes, telling its story anew. For books are always alive. We only have to open them to find out. And if you’re one of those people who’s yet to experience Ghost Radio, please enter today’s contest, or any of the contest held throughout this event. Winners will receive autograph copies of the book as well as other exciting prizes! The contests will be open till March 13, 2010. So there’s still plenty of time to enter. So I wish to thank everyone who’s followed this event. And hope you continue to return to the blog for our daily news on Ghost Radio, horror movies, comics, books, video games, television and other news items from the world of the fantastic and the paranormal. You’ve made this site and this book a big success. And I can’t thank you enough. Each day of this event we offer the chance to win prizes. Every winner will receive autographed copies of both the hardback and paperback editions of Ghost Radio. But they will also receive a special bonus surprise tied to the day’s theme. This could be additional books, DVDs, CDs, audio books, or maybe something even more exciting. So what are you waiting for? Enter today’s contest now. This contest closes on March 13, 2010. Winners will be chosen at random, and notified the following week. If you’ve missed any of the COUNTDOWN TO PAPER event you can catch up here. Every day has contests! So increase your chances of winning by enter everyone of them! It’s late at night. The room is dark. You hear something moving in the other room. Those few words set up a standard horror scenario. And many an effective horror sequence can be garnered from such a set up. But superior horror writing looks beyond such tropes. Finding horror in unique and varied settings. And in unique and varied forms. Here’s an excercise: Pick the least horrific setting they can think of, and then find a way to twist it to reveals hidden horrors. Isn’t Jaws effective because the shark lurks in shallow water a few yards from a crowded beach? But a beach is too easy. Because beaches harbor other lurking forces of danger. You have storms, the possibility of drowning, shipwrecks, and so on. Let’s examine a couple of other less obvious settings. What about Christmas morning? That’s a cheerful setting. Isn’t it? Think again. Do dangers lurk inside that tree? Is something hiding beneath the brightly colored wrapping paper? Has the turkey just come alive in the oven? What about waiting in line at the DMV? That’s not cheerful. And, though it may be horrifically boring, it’s not rife with traditional horror tropes. But can we find some? Sure we could plop some zombies in there. But the DMV is full of “zombies” already. Let’s think deeper. What if everyone there was smiling? Eyes glistening. The room quivering with an excitement you rarely see outside a revival meeting. Or on the faces of children at circus. Now this setting becomes creepy. Unnerving. Now its ready for the horrific to occur. When you do this a few times, it will fire your horror imagination. You will find it becomes easy to see the horrific in any situation. And then you take the first steps from being someone who writes horror to becoming a horror writer. Because horror isn’t really a genre or way of writing. It’s a way of seeing the world. Horror fiction reveals the frightening and dangerous that lurks all around us. No area of comfort is immune for its subverting force. From mothers to children. From birds to pet dogs. From Christmas morning to the DMV. Nothing remains in its original form. With just the turn of a phrase they can all become founts of evil, spewing their bile on all who venture into their domain. They can cut off all paths of escape. They can ring the bells of your doom. But when you finish reading or writing such a story, you realize your dog isn’t a hound of hell. You mother isn’t casting spells while you’re at school. And your children don’t have “666” emblazoned on their scalps. In fact, it often makes you realize that these things aren’t even metaphorically true. And this is why reading and writing horror is important. It allows us to safely explore these ideas. To bring them to life. And when we’re done, you place them safely on a shelf or inside a DVD cover. And you feel better. This is one of the reasons why horror writers are some of the calmest, sanest people you’ll ever meet. They face fear head on, and, more often than not, find it’s just a story we tell ourselves. So fire up your word processor and tell yourself some of those stories right now. And don’t forget to check back to tomorrow for another day of this exciting event, and another chance to win PRIZES! 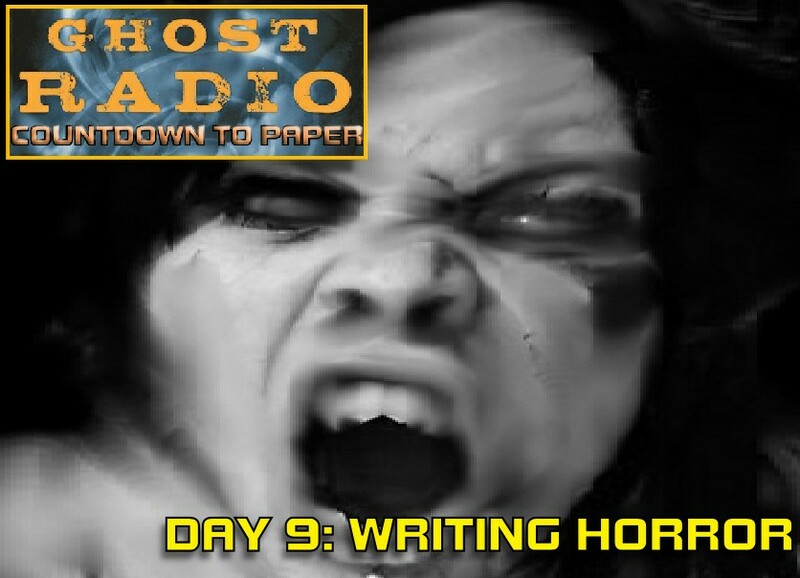 Welcome to Day 8 of the “Ghost Radio: Countdown to Paper” event! Our celebration of the mass market paperback release of Leopoldo Gout’s hit horror novel Ghost Radio. Today Leopoldo shares his cinematic inspirations. And make sure to read to the bottom of the post for a chance to win some exciting PRIZES! The original Invasion of the Body Snatchers (1956) may be more than fifty years old. But it offers the best template for horror entering a convincing, modern world. Signs (2002) also takes place in a convincing, modern world. But it’s was the film’s create scares without extensive action or gore. One of the film’s scariest scenes is an alien leg poking out of cornfield. Audiences jumped at that moment, proving that modern audiences can still react to subtle scares. The Exorcist (1973) is a model for slow building horror. You’re scared before anything scary even happens. Who wouldn’t be inspired by a film like The Devil’s Backbone (2001)? And knowing that it was directed by a friend makes it all the more inspiring. 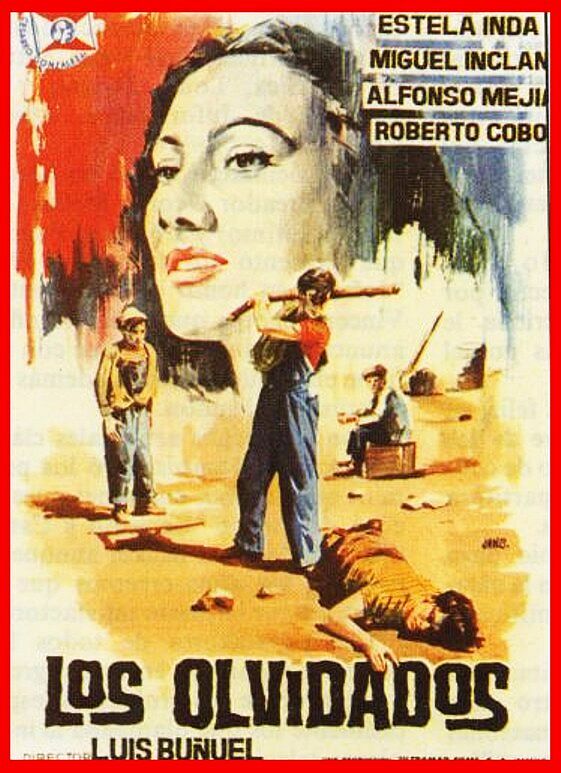 Los Olvidados (1950) is not a horror film. But it features some of the most haunting and brutal images ever put on film. Although not good films, the Santo films remind me of my childhood, and of the wildness of my native Mexico. And I wanted to make sure some of that was in the novel as well. Above is a scene from Santo Contra Los Zombies to give you sense of what I’m talking about. 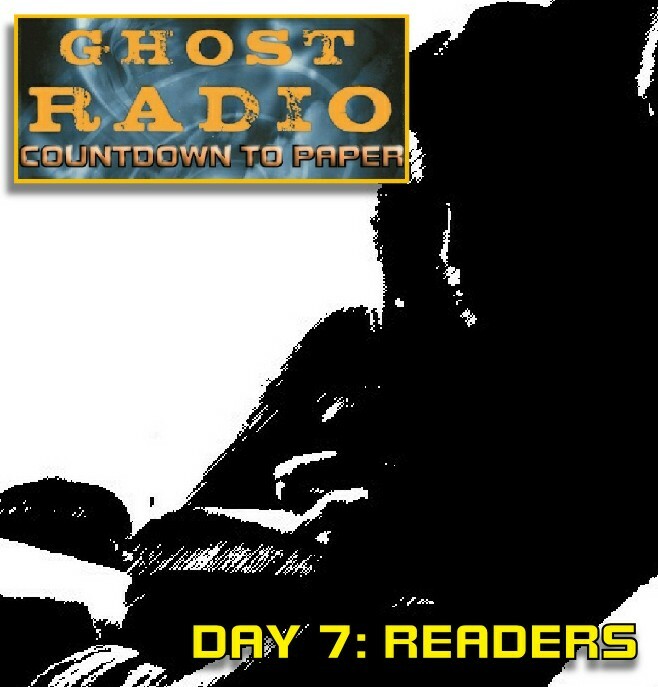 Welcome to Day 7 of the “Ghost Radio: Countdown to Paper” event! Our celebration of the mass market paperback release of Leopoldo Gout’s hit horror novel Ghost Radio. Today Leopoldo shares some reader responses. And make sure to read to the bottom of the post for a chance to win some exciting PRIZES! Getting good reviews from major publications is great. But it’s the reader response that creates real excitement . It’s great when they hear the exact reaction you wanted. I worked hard to make this book a page-turner, and it’s so satisfying to hear people talk about how hard it was to put down or how fast they read it. In this anti-literary age that reaction is special. There’s a devilish glee to find out that the parts intended to scare worked. Or to hear someone point to a line or paragraph you worked very hard on. And all the comparisons to the early work of Stephen King are beyond flattering. But it’s also great when readers surprise you, seeing things in the book that never consciously contemplated. Or when they draw parallels to their own lives. A writer learns so much from this kind of response. 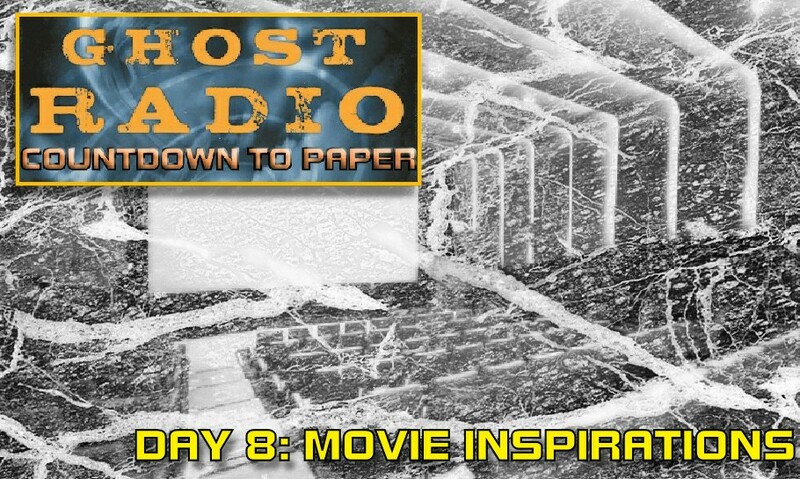 Welcome to Day 6 of the “Ghost Radio: Countdown to Paper” event! Our celebration of the mass market paperback release of Leopoldo Gout’s hit horror novel Ghost Radio. Today we give you a preview of a potential Ghost Radio podcast. And make sure to read to the bottom of the post for a chance to win some exciting PRIZES! We’re always looking for ways to expand the Ghost Radio experience. The blog has been hugely successful. Its daily readership goes way beyond our wild expectations. And we’d like to continue this momentum. Let us know what you think? Is another media podcast something you think you need? 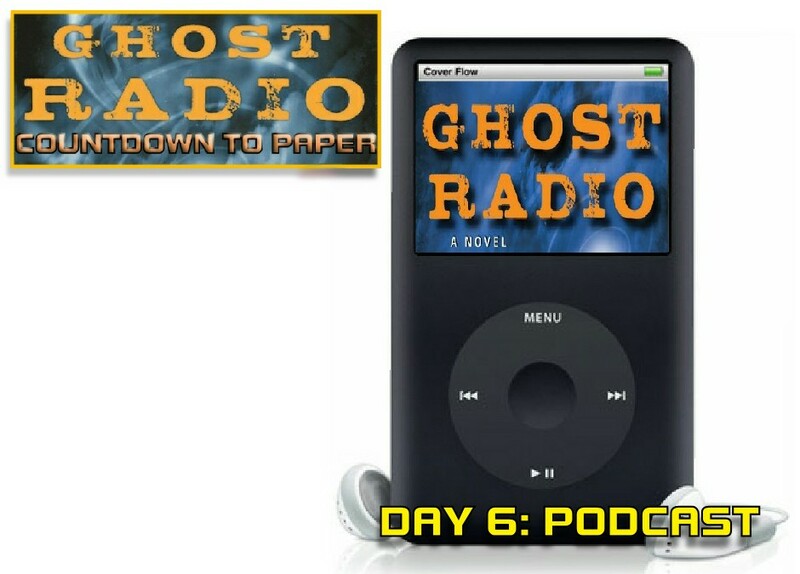 Welcome to Day 5 of the “Ghost Radio: Countdown to Paper” event! Our celebration of the mass market paperback release of Leopoldo Gout’s hit horror novel Ghost Radio. Today Leopoldo looks at the mysterious Toltec civilization. And make sure to read to the bottom of the post for a chance to win some exciting PRIZES! One of the greatest assets to any writer is a mystery. Whether that mystery be large, like the meaning of life; or small, like a missing set of keys, their ability to drive stories is virtually identical. They don’t merely aid in creating narrative, they serve as the most functional armature for building narrative upon. The mystery has done for writing what the post and lintel did for architecture. But if writers see mysteries as an asset, readers see them as almost a necessity. You’ll rarely find a successful novel, from the most high-minded to the most mercenary, that doesn’t have a mystery at its core: Some question that author hopes to examine if not fully answer. Ghost Radio is a novel full of mysteries from murders to missing radio shows to the mystery of the afterlife itself. But one of my favorite mysteries that Ghost Radio tackles is the mystery of the Toltecs. 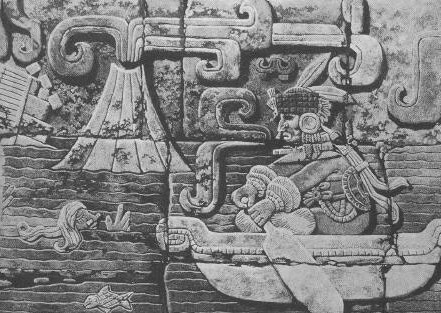 Unlike other ancient civilizations, the Toltecs have become more mysterious by the decade. Once believed to be an actual ancient people of central Mexico, now more and more historians have come to accept that they may simply have been a mythic creation of the Aztecs. And, because of this unclear history, they have become utilized by all types of people for all types of purposes. The Toltecs seems to serve a function similar to that of the druids of ancient Britain: A mystical group upon whom we can project our own ideas and feelings. A new age catchall, if you will. But I didn’t want to use the Toltecs that way in Ghost Radio. I thought they deserved better. So I sought to use them in a way that was both more mysterious and more surprising. You’ll have to read the book to find out more. But, if you’re like most readers, I think you’ll find it a mystery worth exploring. And I hope you enjoy what I did with it. 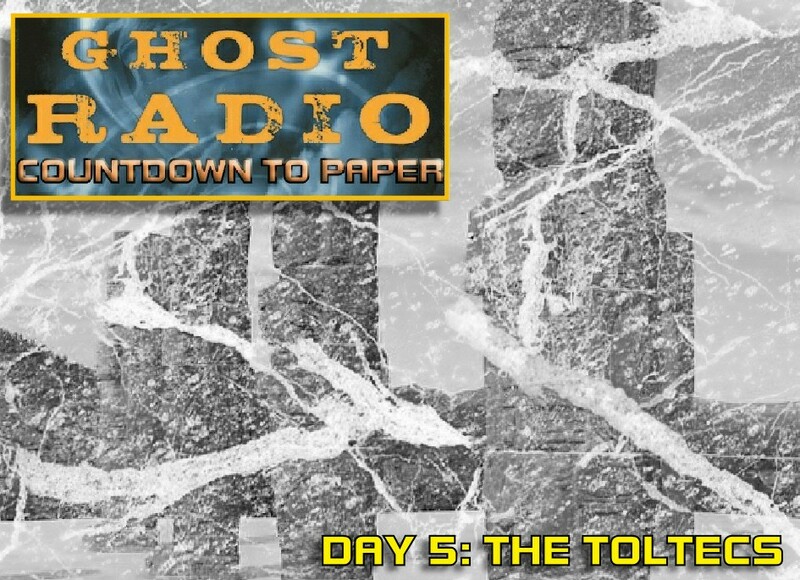 Welcome to Day 4 of the “Ghost Radio: Countdown to Paper” event! Our celebration of the mass market paperback release of Leopoldo Gout’s hit horror novel Ghost Radio. 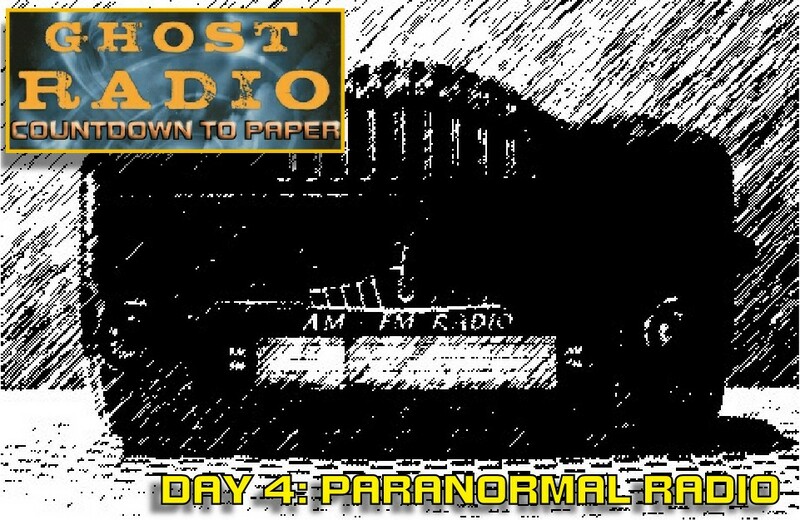 Today we look at pioneer of paranormal radio. And make sure to read to the bottom of the post for a chance to win some exciting PRIZES! One of the key components of Ghost Radio is a late-night paranormal radio show. Such radio shows have been a programming fixtures for decades. The show of this type that’s probably most familiar to today’s readers is Art Bell’s Coast to Coast Am. And our Mexican readers are probably familiar with similar show called “La Mano Peluda” (The Hairy Hand). But decades before either of these shows aired, there was a radio personality who pioneered this format. 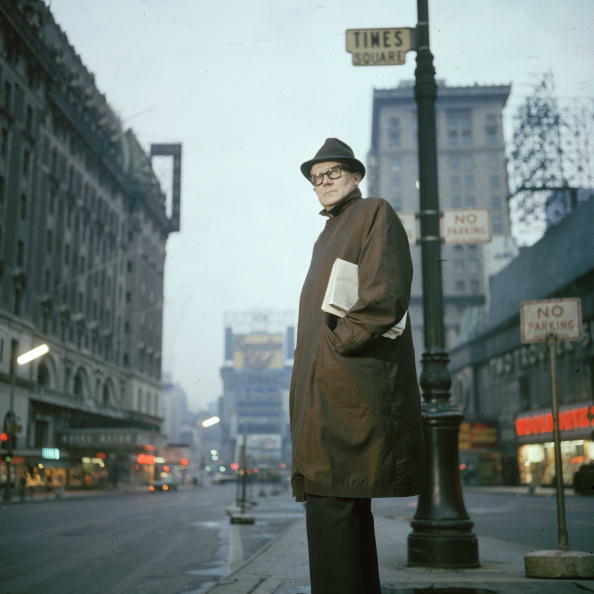 His name was John Zimmerman, better known to his listeners as “Long John Nebel” (pictured above). On various radio station in the New York City area, he broadcast an over-night radio show discussing the paranormal from the mid-fifties till the late seventies. We could try to explain what his show was like. But wouldn’t it just be better to give you chance to listen to it yourself? We thought so. So today we’re dipping deep in the Ghost Radio archives to give you a taste of John Nebel’s show. And it’s quite a special one. This broadcast is from February 1, 1958 and features an interview with Award Winning Science Fiction writer Arthur C. Clarke. In this conversation, Clarke discusses his theories on UFOs. We hope you enjoy it.